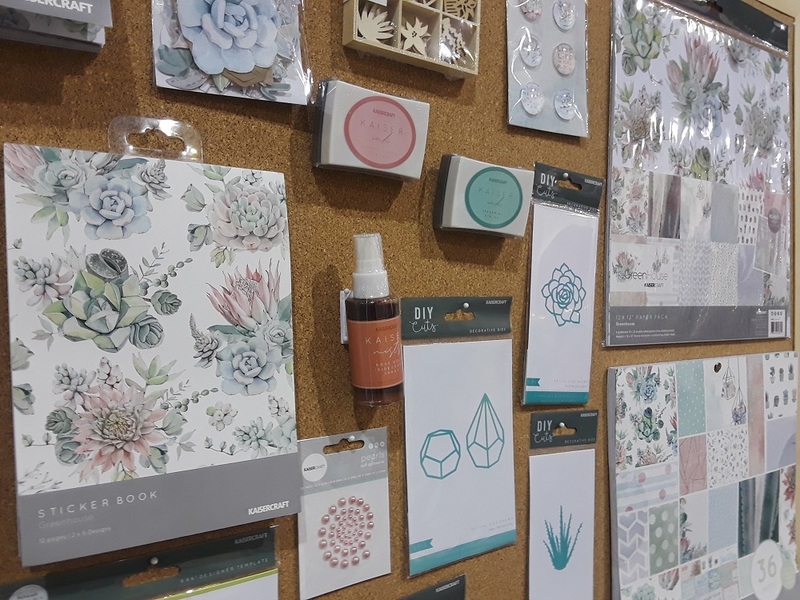 Craft trends for 2019 should make their way into your projects and home decor this year. You have 11 more months to make sure you’re on trend! 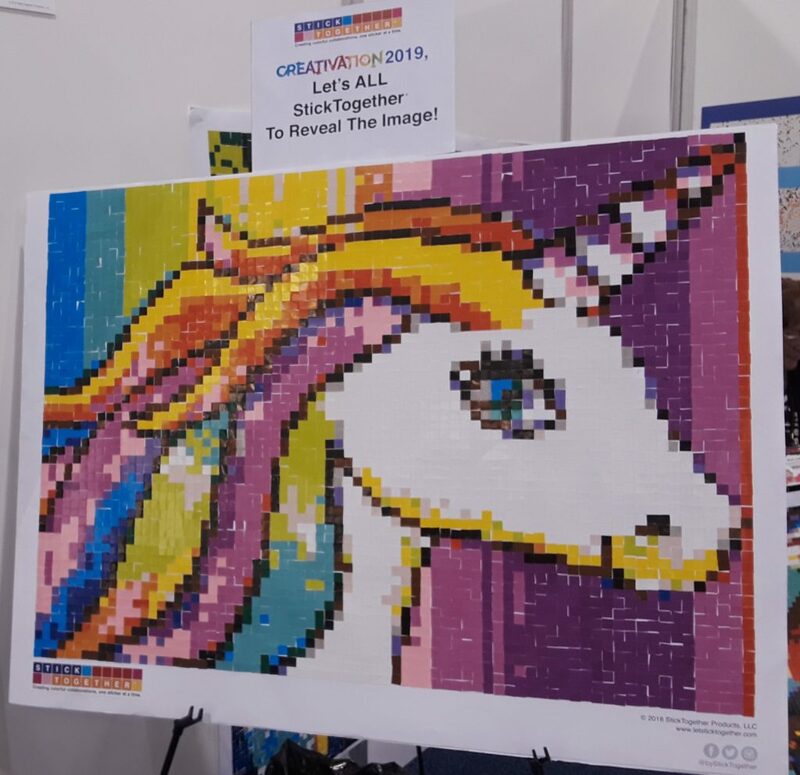 After attending the 78th annual Creativation show in Phoenix, we’ve come away with some thrilling new projects and old favorites to try in 2019. 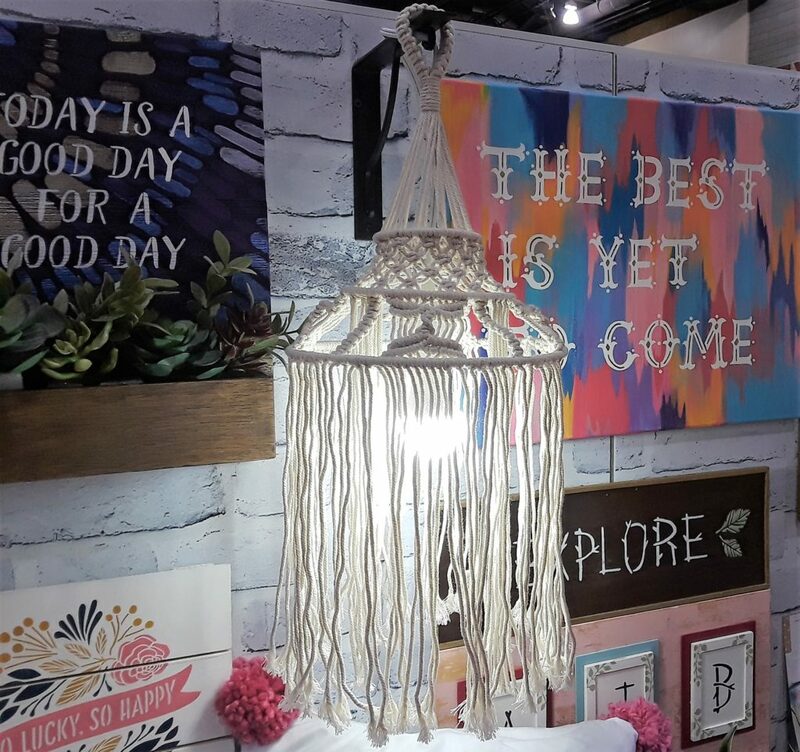 Macrame was trending at the 2018 Creativation Show and it made its reappearance at this year’s event as well. Wall hangings and plant hangers were abundant at yarn company booths across the show floor. A macrame lampshade as seen at the Plaid booth. 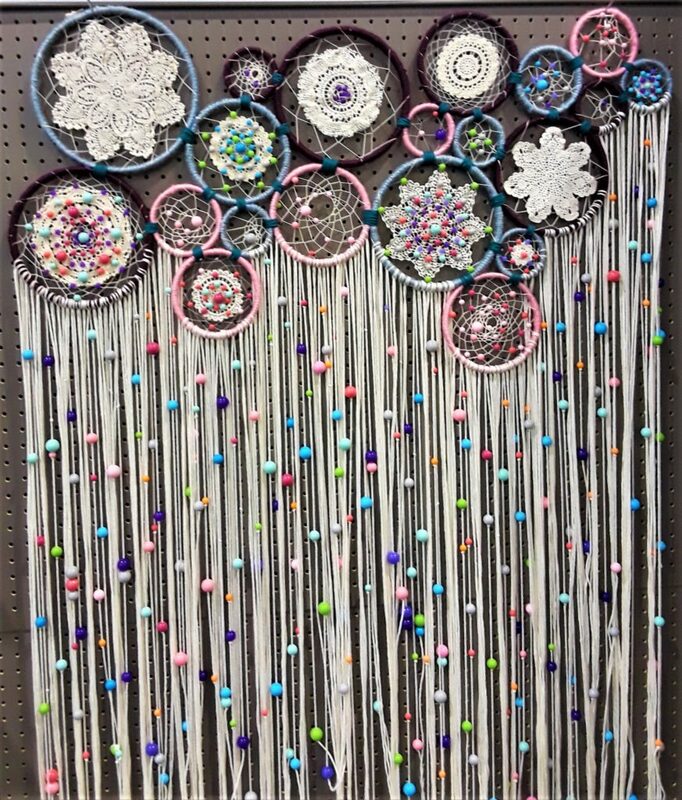 In a similar vein, dream catchers sprouted up at the show this year, complete with pom poms and doilies embedded! Dream catchers spotted at the Darice booth. Knitting and crochet are popular at the show every year; these are two crafts that aren’t going away any time soon. However, this year yarn companies released new loop yarn that allows fiber enthusiasts to make knit projects without any tools—just use your fingers! Bernat’s new Alize Blanket-EZ yarn, featuring unique loops. 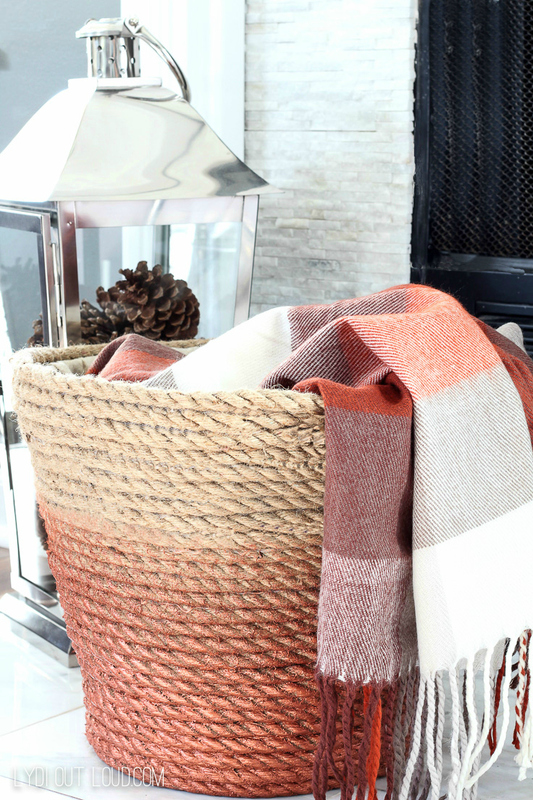 Learn how to make the EZ textures blanket here. P.S. Explore more yarn crafts in our collection of 55 Yarn Crafts without Knitting. Succulents, air planters, terrariums, oh my! These striking plants are as popular as ever, emerging in scrapbooking lines, paper crafts, and more. 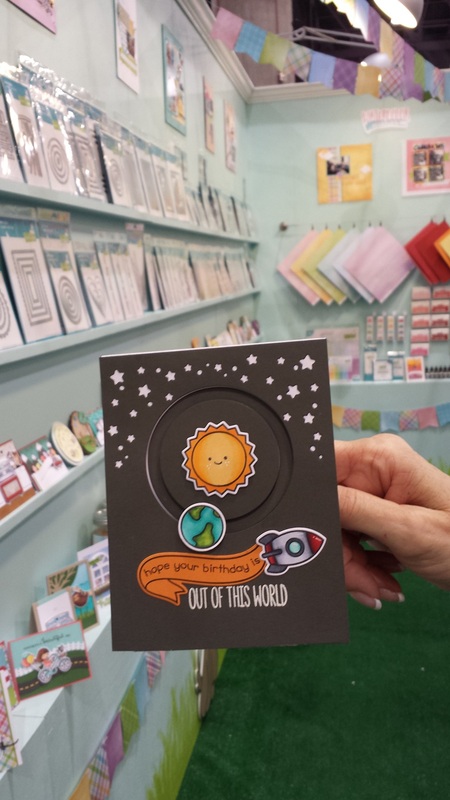 A snapshot from the new Greenhouse line by Kaisercraft. 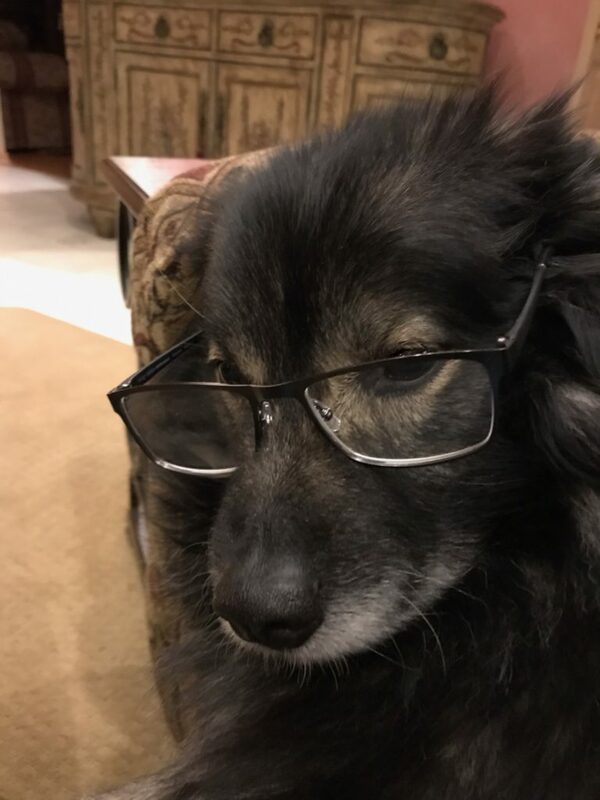 I saw at least three dogs wearing glasses, or rather, images of dogs in glasses, on the show floor. 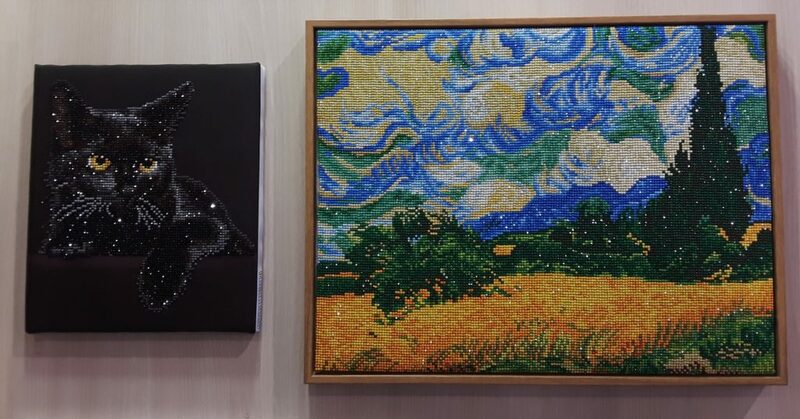 They were spotted in embroidery kits, heat-transfer vinyl, diamond art kits, and more. Time for nerdy cute style! 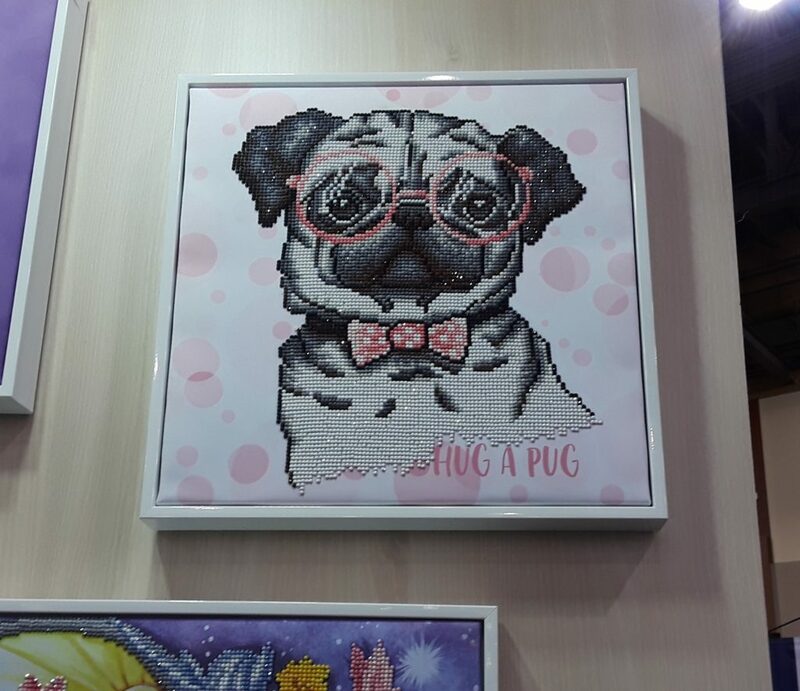 This glasses-and-bowtie adorned Hug a Pug image was spotted at the Diamond Dotz booth, among many other sparkly creations! 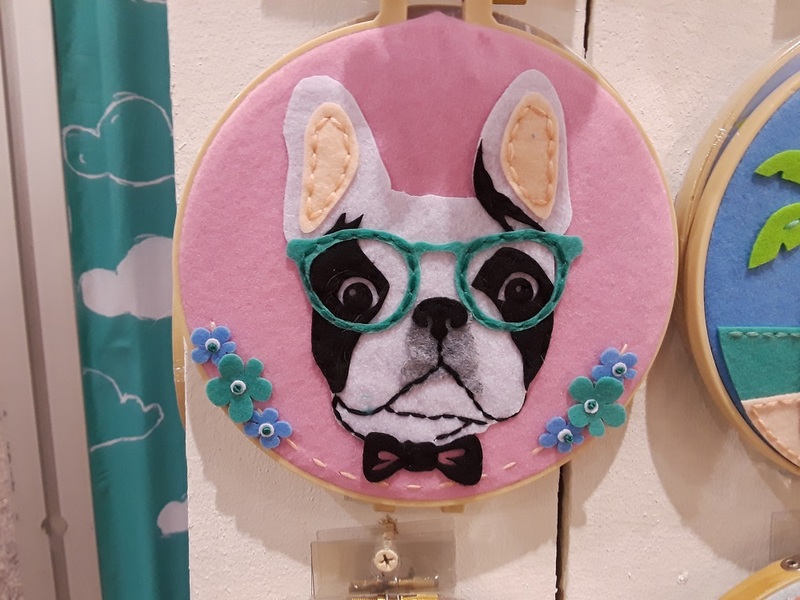 This glasses wearing pup was spotted at the Fabric Editions booth. Related: my Dad happened to text me this photo of our family dog, Mocha, while I was at the show. Unique paint pouring methods, sealers, and more were popular at paint manufacturer booths throughout the show. Featuring FolkArt paint at the Plaid booth, these are some of the incredible creations showcased using these techniques. Last but not least, vinyl was popular across crafting genres at the show. 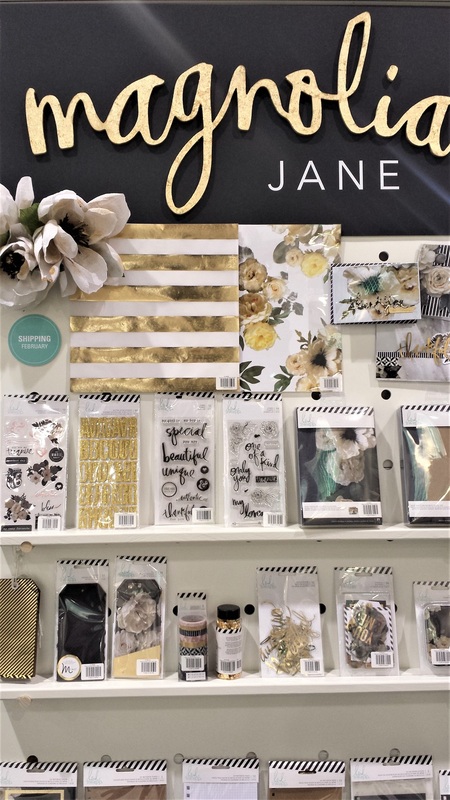 There were entire company booths dedicated to vinyl, and many fabric companies as well as paper crafts and die cutting brands featured crafts with vinyl. We’ve seen a number of them show up in our User Submitted Articles as well, so this trend is definitely on the rise! These projects and products were on display at the EK Success booth. 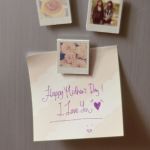 Vinyl is a quick and easy way to make really adorable, decorative projects. What craft trends will you follow in 2019? 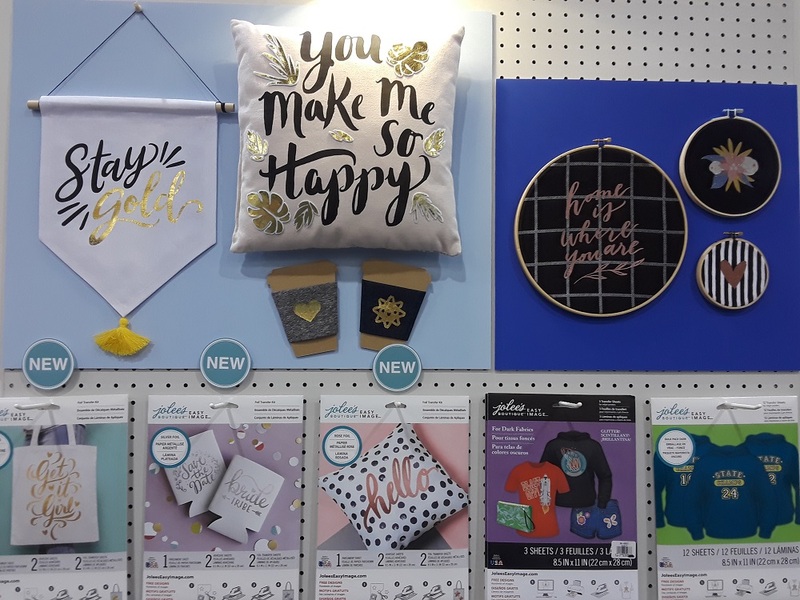 Every year we adore seeing new craft trends at the Creativation show. It’s wonderful to get an insider’s look at what new projects and motifs are up and coming! We love sharing what’s new with our readers. 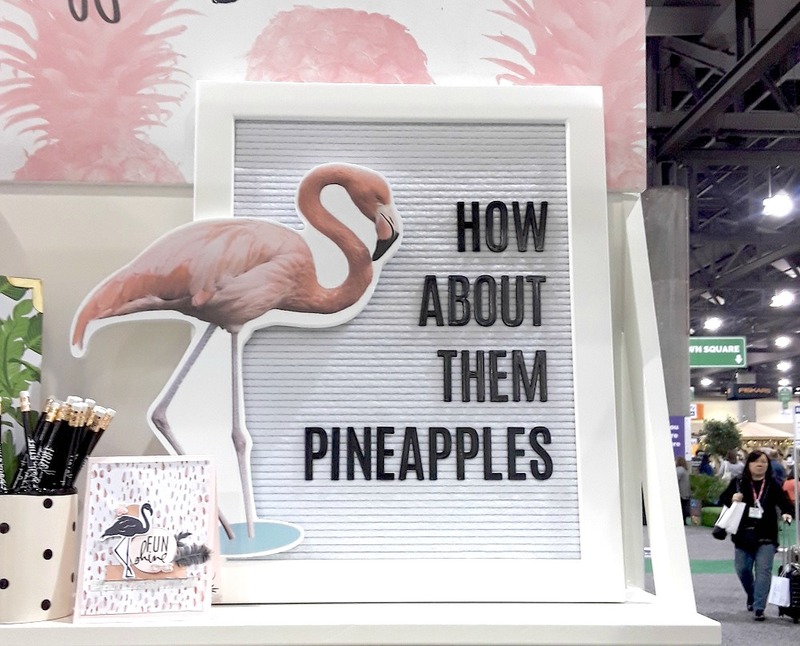 Here are some of the popular trending crafts from Creativation 2018. 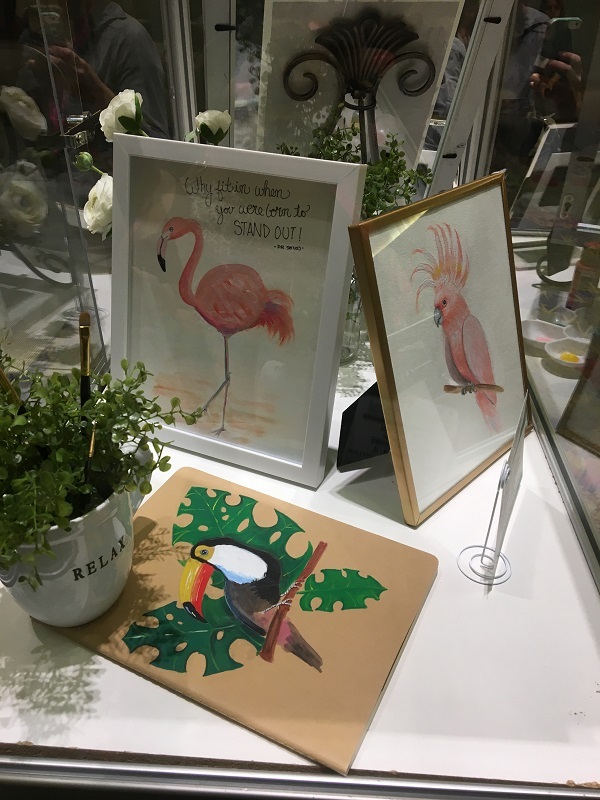 Toucans and other tropical birds were everywhere at Creativation this year! There was a cute toucan make and take, and I saw toucan paper, fabric, and other crafts with toucans at the show. Speaking of birds of paradise, flamingos are still hip. In fact, flamingo crafts were everywhere at the show! If you’re pairing flamingos and pineapples, you’re especially on trend. See that beautiful “how about them pineapples” photo above? That text is written on a letterboard, and letterboards were everywhere. 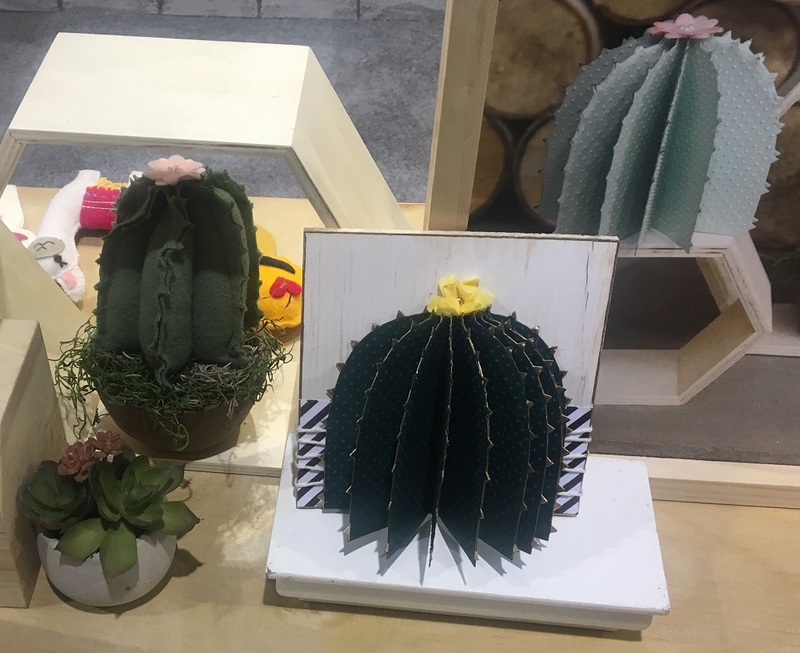 At first we thought we were seeing so many cacti because Creativation is held in Arizona, but as it turns out, the humble cactus is trending. Perhaps cactus is the new succulent? 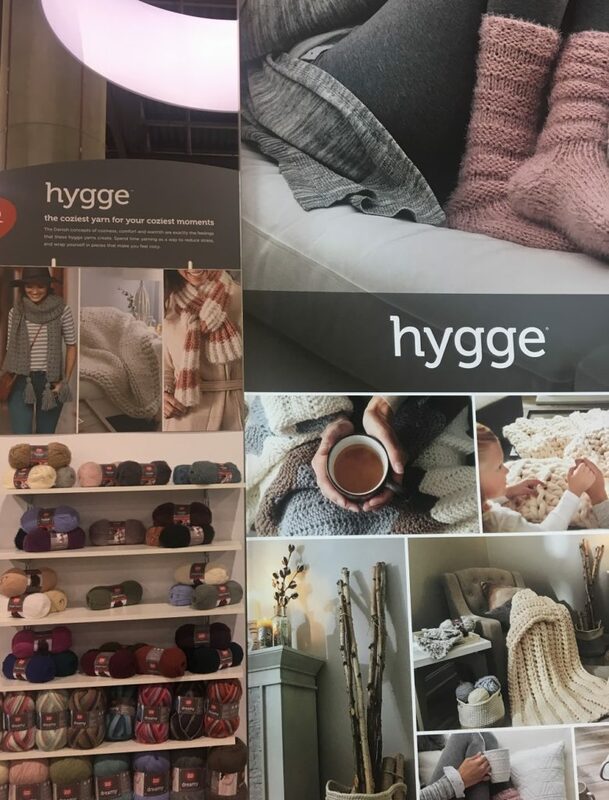 Hygge became hip in 2016 and it continues to be popular! Red Heart released a new line of hygge yarns, and comfy and cozy products were abundant. 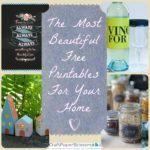 Check out our collection of 27 Hygge Crafts. It’s true: pom poms are here to stay. There was plenty of pom pom rick rack, ribbon, and other pom pom details on knit and crocheted projects. 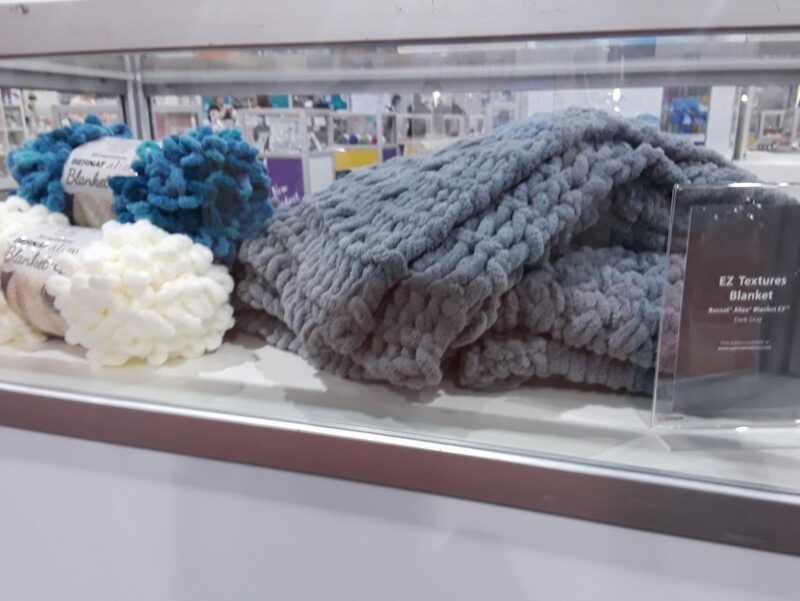 The Craft Yarn Council made pom poms at their booth this year, too. Explore our eBook of pom pom and tassel ideas: 5 Easy Tassel Crafts and DIY Pom Pom Projects. Llamas abounded at the show this year! They were on cards, printed on paper, embroidered for home decor, and sewn into cute little plushies. Looking for even more crafty inspiration? 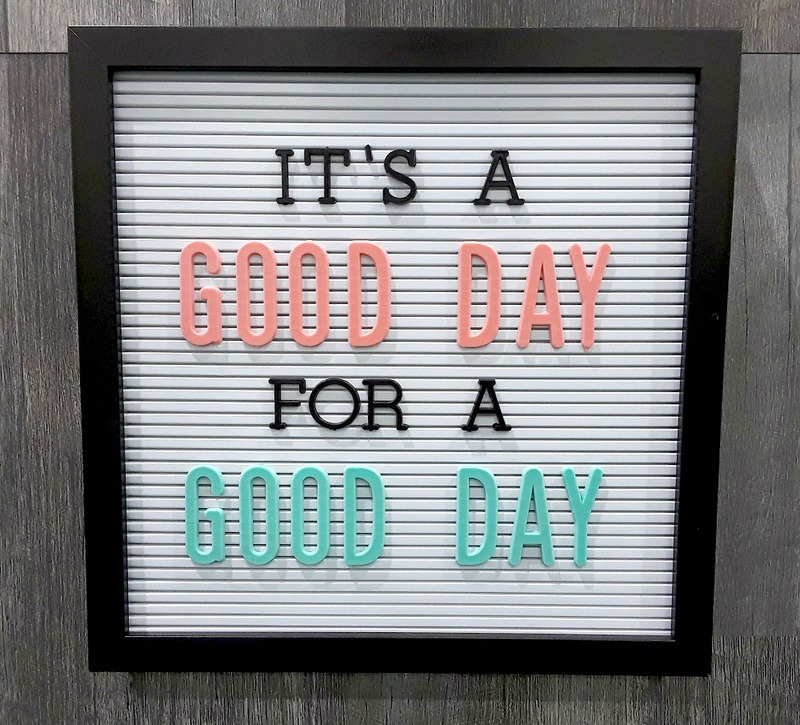 Subscribe to the FaveCrafts daily email newsletter. What trend are you most excited about for 2018? Every year we attend Creativation, the Craft and Hobby Association’s annual trade show. 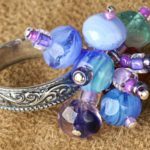 We network, learn about the latest trends, and afterwards we put on our favorite crafts from Creativation contest. Our bloggers make innovative projects using the new products they received at our annual networking event for a chance to win a cash prize! This year, we selected 20 finalists based on certain criteria. Ingenuity while using the sponsor product, well-written instructions, and high quality photos were among the qualifiers. And it was so challenging to narrow down the entries, but we’re confident you’ll enjoy the projects you see in this list of finalists. Be sure to scroll down to see the three winners from our Best Blogger Contest 2017! Coloring Book Jewelry Set – put your coloring pages to use! Spring Mini Flower Pot Moss Decor – adorable! Special thanks from our sponsors at our networking event! 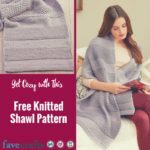 Find an abundance of trending new craft ideas at FaveCrafts.com. 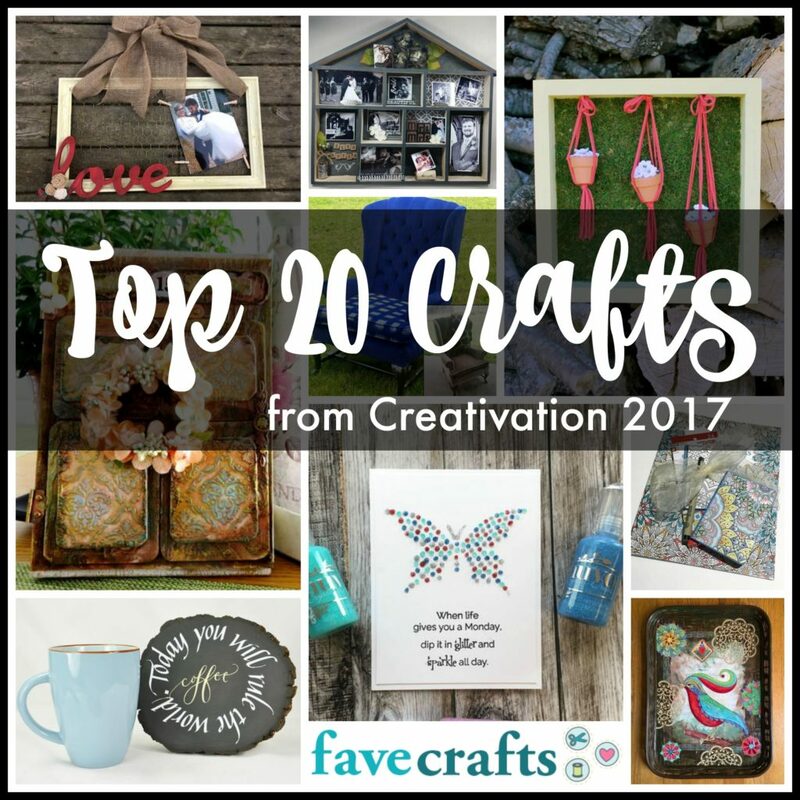 Which is your favorite craft from Creativation 2017? I am a huge proponent of knitting and crocheting to destress. I learned how to crochet about three years ago, and I’ve been knitting for two years. While I still consider myself a beginner in both of these crafts, I do love to unwind with knitting and crochet. Doing a generative activity like writing, drawing, or even reading can be overwhelming when stressed. The idea of coming up with something new to write or journal about does not seem relaxing if stress levels are already high! 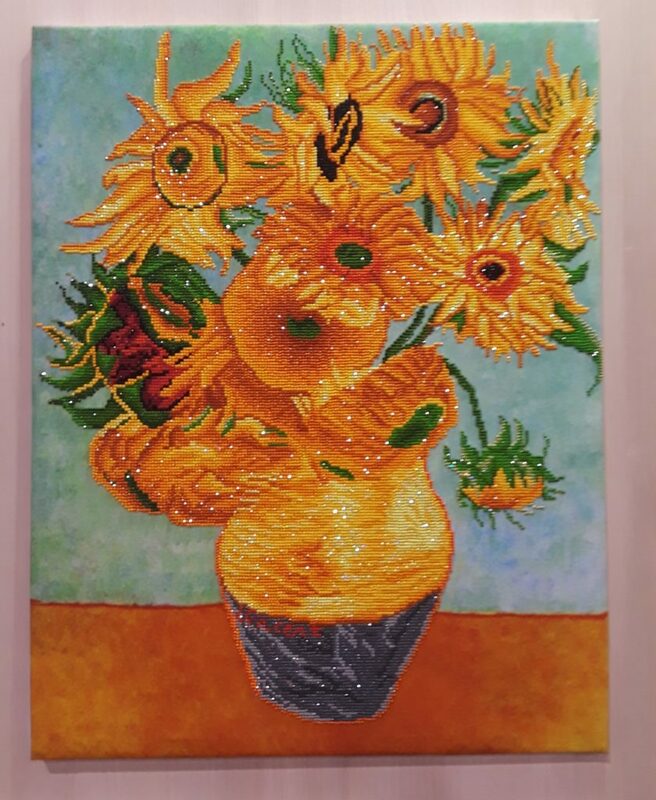 Same goes with deciding on an image to draw, and even taking in information from something as light as a novel can go right over my head if I’m distracted and panicked. I’ve found that my favorite things to do when stressed include crocheting, knitting, and playing piano. Not learning a new pattern or song—that is too generative when stressed—but working on an easy pattern or playing a song I’m already familiar with. It’s a beautiful distraction and, in the case of knitting and crochet, I am still making something! April is stress awareness month, and our friends at the Craft Yarn Council have a lineup of wonderful opportunities and learning experiences to help you destress. Share your story and learn more about what April has to offer when you want to unwind with knitting and crochet. 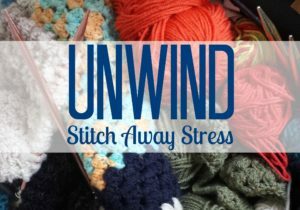 Next month, during April Stress Awareness Month, Craft Yarn Council (CYC) is encouraging knitters and crocheters to UNWIND and Stitch Away Stress. CYC will use social media to create a space where followers can breath easy and to facilitate conversation about trending topics within the wellness community. Each week we will center conversations around the following themes and how knitters and crocheters use yarn crafting to heal within each of the categories. We will focus on self care and self love. Many wellness platforms have taken up the cause to encourage women specifically to start taking better care of themselves: mind, body and spirit. We will focus on using knit and crochet to both exercise the mind and using it to rest your mind during stressful periods. This week will focus on how knitters and crocheters come together to build communities both in their own cities and online. Use your social platforms to encourage your audience to join the discussion by sharing their own photos and stories using #StitchAwayStress. Download and share CYC’s graphics, animations and the Unwind press release. Host your own Unwind contests and giveaways. On your blog, share your story of why you knit or crochet and how it has benefitted you. Invite your followers to join the Craft Yarn Council all month long for April Stress Awareness month giveaways! Share any of CYC’s Stress Awareness Month posts or images on Facebook or Instagram and tell your story to your friends as it relates to the topic of that post. You must use the #stitchawaystress for a chance to win one of four UNWIND prizes. Each prize is valued at $50. Contest runs April 1-30. Winners will be chosen at random and will be announced week of May 8th. If you are planning to participate in our Unwind Campaign, please shoot us an email at info@craftyarncouncil.com. We would love to hear from you! Thank you and with your help we will make this April Stress Awareness Month the best one yet! 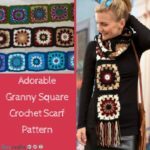 Creativation Craft Trends for 2017! 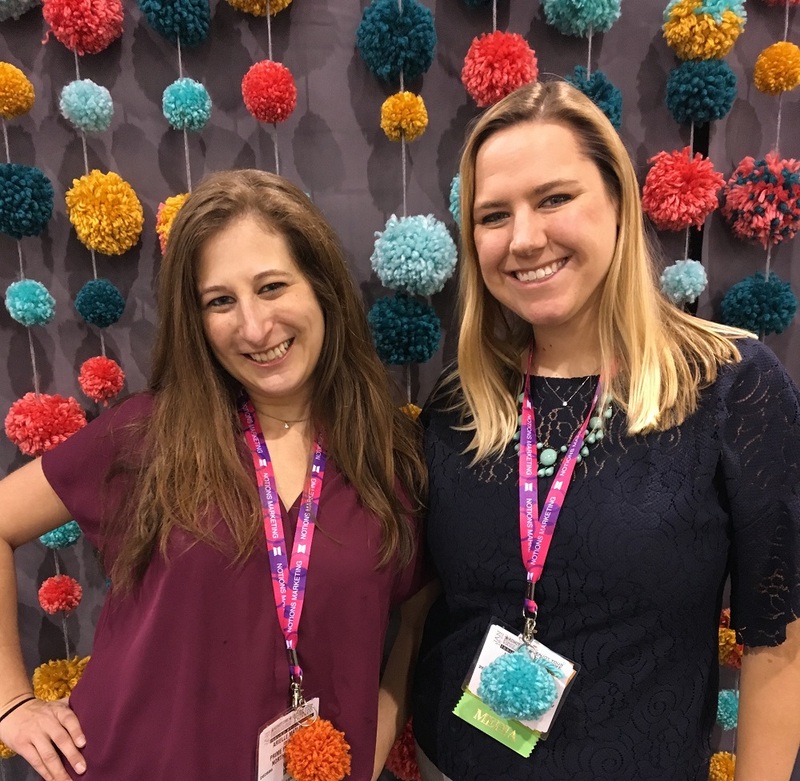 Every year, we from FaveCrafts attend the Craft and Hobby Association’s trade show in January. 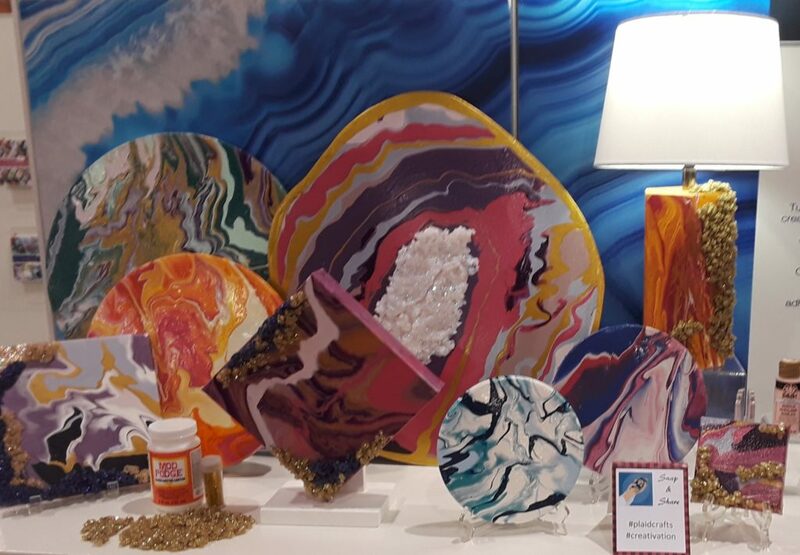 This year, rebranded as Creativation and held in Phoenix, AZ, we had a lovely time making new connections, meeting up with folks we already work with, and of course, spotting trends. Below, check out 5 Craft Trends for 2017. 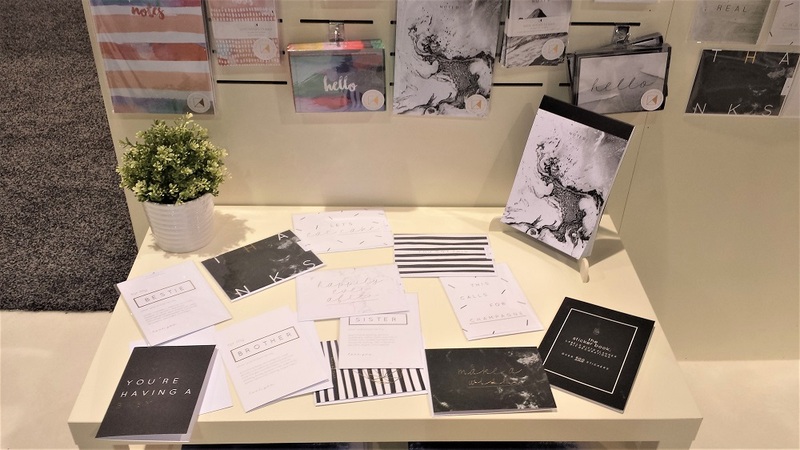 We loved what we were seeing at the show, and we’re so excited for what the year has in store! 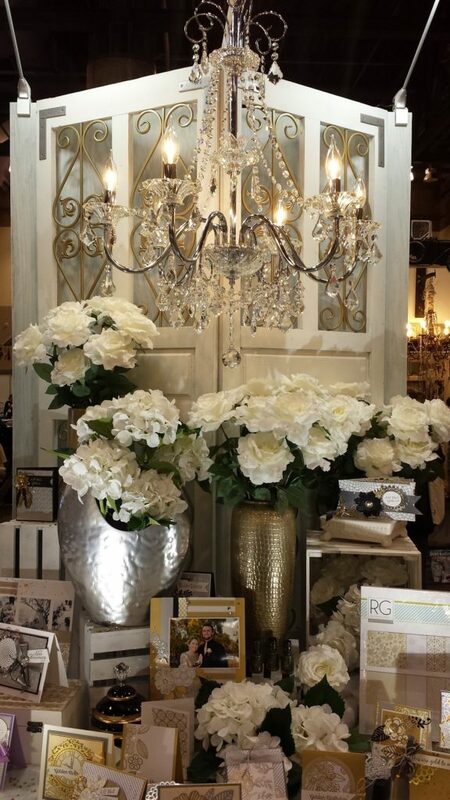 Isn’t this display from Richard Garay just stunning? This collection features the silver and gold of anniversaries, and copper is also trending. In fact, Krylon’s color of the year is copper. Metallics add such a lovely touch to any project, don’t they? That shimmer just reels you in! Marble is such a unique look, and the swirling designs blending colors that work well together really make marble an eclectic yet elegant option. From papers and notebooks printed with marble designs like the ones below from Kaisercraft, to splatter painting techniques and more, this look is still trendy for 2017. 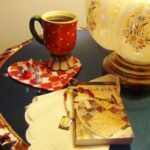 Marbled DIY Mugs – fabulous gift idea! I’m madly in love with this card. It’s a slider card and the earth goes around the sun! So lovely. Any kind of galaxy and outer space themed projects are trendy for 2017. Flowers are always trending, but two that stood out to us were magnolias and cherry blossoms! The touch of Japan as well as hints of the South made their way into this year’s Creativation show. These magnolias from Heidi Swapp were a stunning display (notice those metallics?? ), and who doesn’t love a good tea party? These feminine accents should make their way into your crafting in 2017. Cat prints and projects are so popular with FaveCrafters and with the crafting industry at large! But what about dogs?? 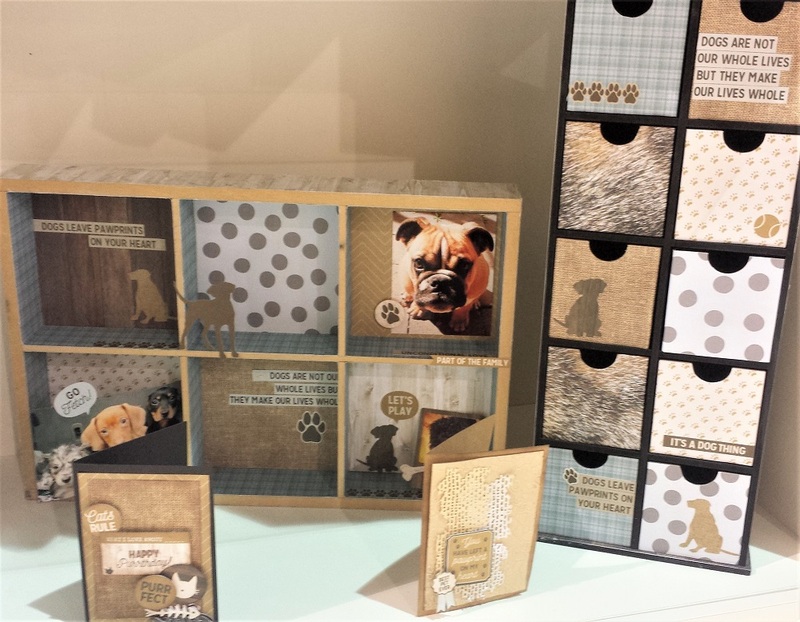 This year, many crafting companies released dog-themed papers and products. Dare I say . . . dogs are the new cats for 2017. What else is trending for 2017? Let us know in the comments! I’m pretty abysmal at gardening. I’ve tried those tiny flower kits that come with a one-inch pot, soil, and seeds, and nothing ever grows. But I do love how a plant can really give life to a space, especially in the dead of winter! I tend to buy myself a bouquet of flowers and call it a day. However, if you have more of a green thumb than I do, you should try these indoor garden ideas! Find ideas below for making terrariums, decorating terra cotta pots, planting succulents, and more! This is one collection you won’t want to miss this winter. 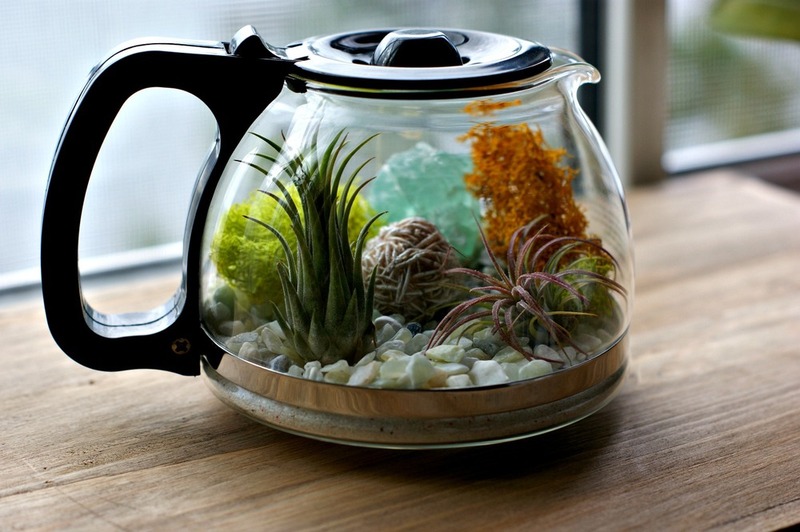 Terrariums are only becoming more trendy. These DIY terrariums are simply lovely for your home or office space! A little goes a long way with these projects. For example, take the concept of fairy gardens with tiny elements, and apply that to terrariums. You can have a wonderful miniature forest housed nicely in a gorgeous glass planter. Or, you can even put one inside a unique receptacle like a coffee pot! Star Wars Terrarium – seriously! Jurassic Park DIY Terrarium – awesome! Get the basic components for making terrariums and make one totally customized to you! Just because it grows outside doesn’t necessarily mean it won’t grow inside! Make these lovely garden crafts to keep in your home during the colder months. 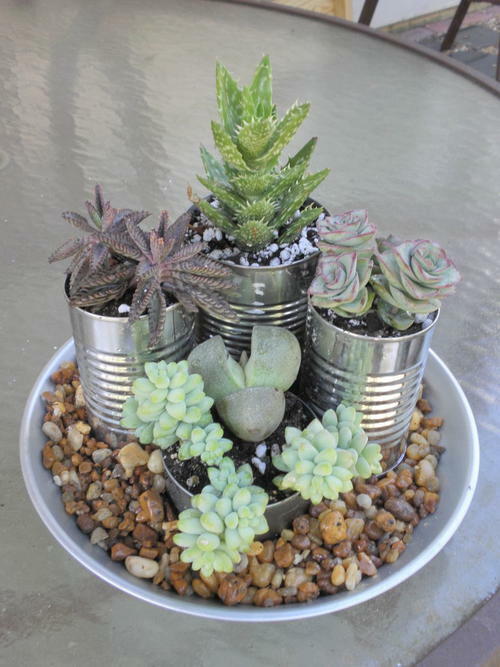 Certain plants like succulents might even grow better indoors! Below, find some fantastic indoor garden ideas. Looking for more great indoor garden ideas? 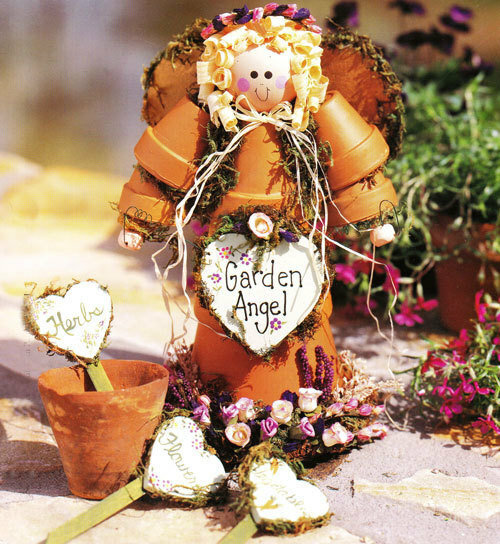 Check out our collection of 38 Flower Pot Crafts. The weather outside is frightful, so we’re staying in and working on some of our favorite cross stitch patterns! 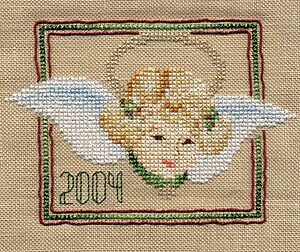 No matter your level of expertise, you’ll find a range of projects in our roundup of 9+ Winter Cross Stitch Patterns. 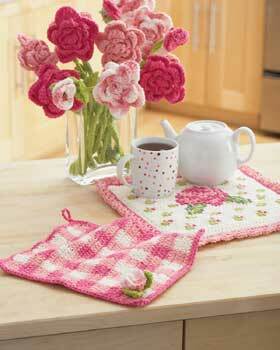 This gorgeous tutorial includes a crocheted gingham dishcloth and a cross-stitched rose potholder. 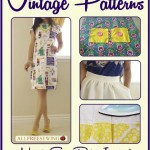 If you’re a lover of both crafts, this is the perfect pattern set for you! Speaking of roses, this chair caddy is a gorgeous project that is both decorative and handy! 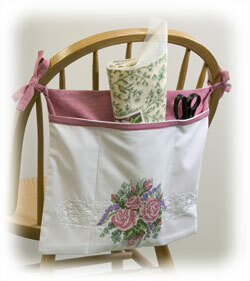 Keep your essential craft supplies, especially those for needlecraft, in this caddy. You may not have fish on the mind since it’s such a cold time of year, but if you want to have this cross stitch pattern done in time for summer, you’ll have to start this project now! 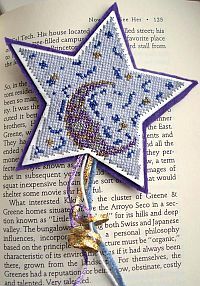 This bookmark is the absolute loveliest for reading before bed! Small projects like this one work up more quickly and make great gifts. This tissue box is so precious. It’s a fun project to get in that Valentine’s Day spirit (already! ), and it’s also very beautiful to add a cozy feel to any room. 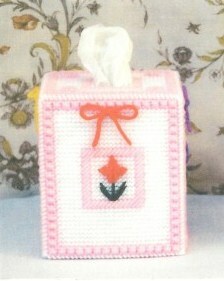 Speaking of tissue boxes, this daisy cover is another lovely option, especially for spring! The little bow is a darling touch. 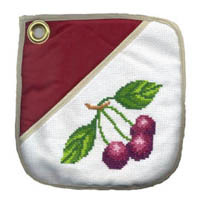 The cherries in this cross stitch oven pad pattern are so cheery and would fit right in any fruit-themed kitchen. This is a great quick project and would be great for that cherry-loving friend. Over the course of winter, get a head start on those Easter projects! This cross stitched Easter egg is a lovely option, and the designs really lend themselves well to cross stitch. This hedgehog keychain is the cutest pattern to round out our winter list. Anytime a loved one takes out their keys, they’ll think of you when you make them this keychain. We have tons more free cross stitch patterns, too! 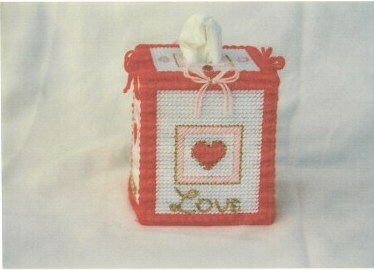 View our collection of 31 Free Cross Stitch Patterns. What cross stitch patterns would you like to see on FaveCrafts? The holidays are just around the corner and things are getting a bit hectic, aren’t they? It really is the most wonderful time of the year, but making and shopping for presents, planning Christmas dinner, coordinating travel arrangements, and so much else can make for a very busy time. Well, we have the perfect way to relax! Together with designer Carol Foldvary-Anderson, we’ve just released a brand new collection of 4 Festive Holiday Coloring Pages for Adults. This printable PDF features four beautiful holiday-themed coloring pages that you can easily print and color at home. Each lovely coloring page varies in difficulty, so you can choose what to color based on image preference as well as the amount of time a page is expected to take. You can frame completed pages for holiday decor or gifts, and you could even scale down the pages to make card fronts! Coloring holiday-themed pages will certainly help in meditating on what the holidays are all about. 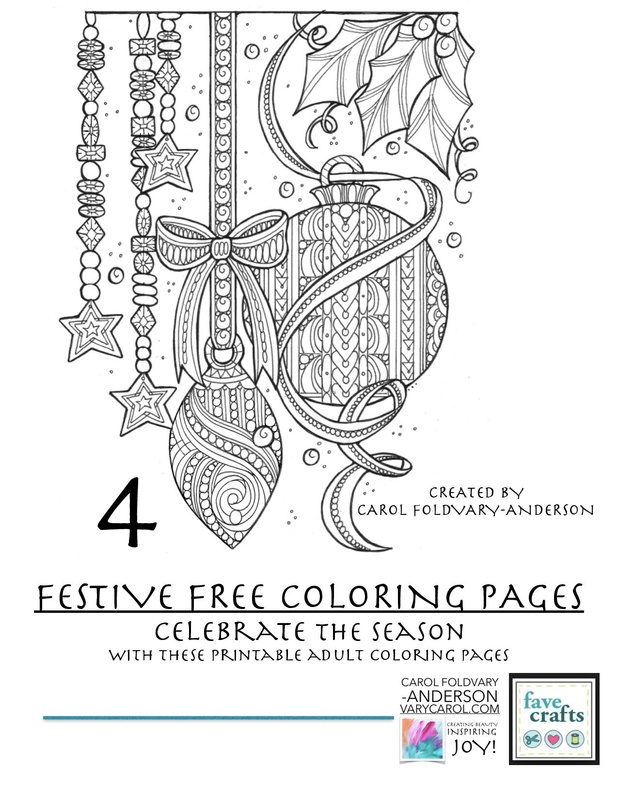 Get your free copy of 4 Festive Holiday Coloring Pages for Adults today! 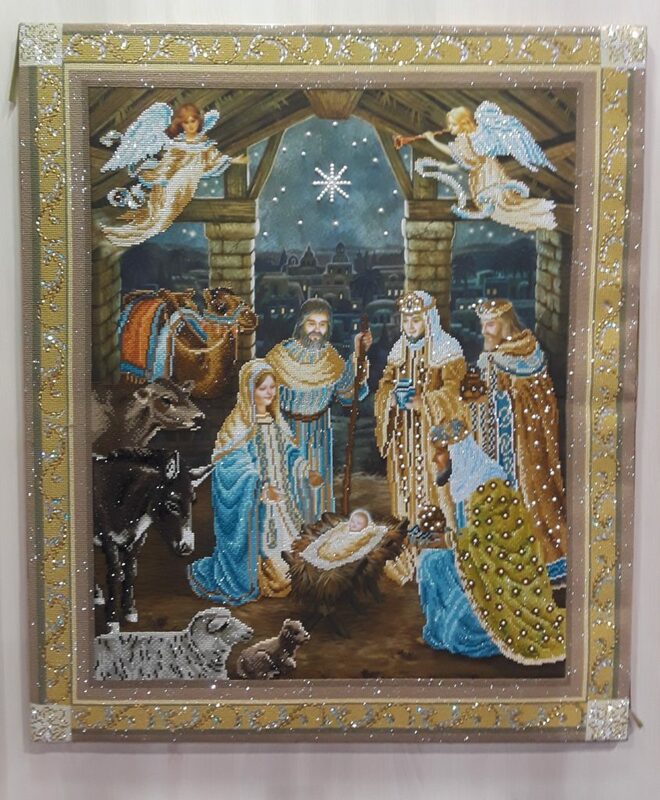 What is your favorite Christmas image? Snowmen, angels, reindeer, or something else? 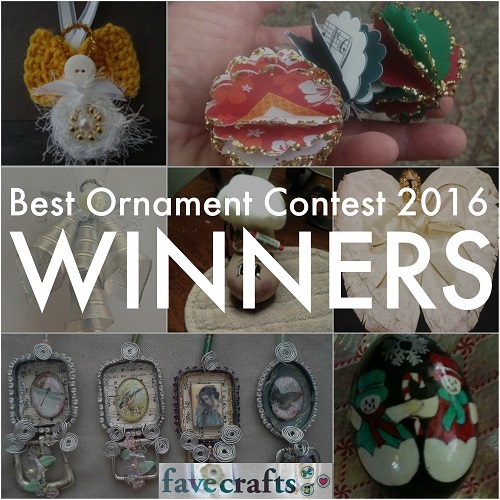 Best Ornament Contest 2016 Winners + Ornament Tutorials! You came. You submitted your ornaments. You conquered. And now we’re announcing the winners of the Best Ornament Contest 2016! To recap: these are the projects that earned the most page views during the voting period (November 17-November 27). 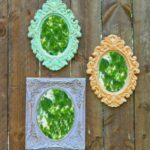 The most people saw these projects on FaveCrafts, clicked, and viewed! These top ten ornaments truly won the popularity contest, and we’re so excited to share them with you. And, if you love these winning projects, definitely scroll down for more awesome ornament tutorials. Find more of our favorite new DIY ornaments below! View the complete collection of our Fave Ornaments of 2016! Describe your favorite Christmas ornament on your tree.